The North Texas Municipal Water District says the rains are welcome, but may not enough to fill up area lakes. Some areas recorded nearly a foot of rain, more rain in six hours than Dallas-Fort Worth International Airport received all year long. "We are receiving rainfall, which is good - that we're not going to need to use our treated water supply. But we really need heavy rains, much more than we're receiving," said Denise Hickey with the North Texas Municipal Water District. Several hours of sustained rainfall will help water levels in McKinney on Thursday. All of Collin County got a nice steady flow of rain Thursday, enough to slow down drivers in low-lying areas but not enough to fill up Lake Lavon. The NTMWD says the rain would have to fall over McKinney to flow downstream and bring up Lake Lavon which is 12 feet below capacity. Despite heavy rainfall on Thursday, people Eagle Mountain Lake in Fort Worth said they need more rain because lake levels are still too low. "The rain showers in Allen and Plano, they don't affect Lake Lavon. People that get water from the NTMWD - look at McKinney and see how much rain is actually fallen there," said Hickey. "You know, we really need to have several days of really heavy rain events. It would've been nice if the 10 inches that Valley View had received overnight had actually rained in McKinney." 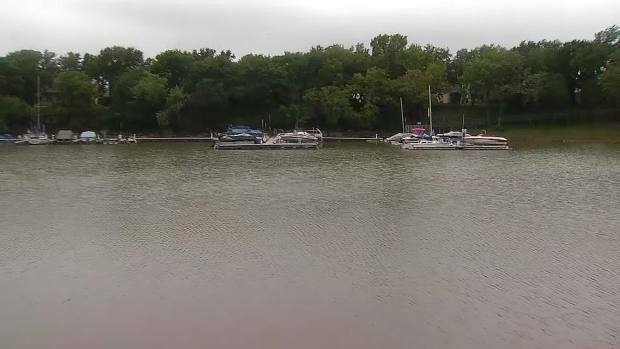 NBC 5 Chief Meteorologist David Finfrock said the rain should bring up lake levels at Lake Bridgeport, Lake Ray Roberts, Eagle Mountain Lake, Grapevine Lake and Lake Lewisville. The Eagle Mountain Lake area saw one to three inches of rain, but businesses along the lake would like to see more rainfall. The Spot Bar and Grill on the south side of the lake says a full lake means a full parking lot. “Whenever the lake levels are awesome then there's a lot of people coming off their boats, coming in having a great time,” Sean Lealos who works at The Spot. Lake levels are so low at Eagle Mountain Lake that the boat ramp near The Spot is closed. The cove only has three feet of water and that’s way too low to bring boats in and out of the water safely. Most of the lakes in North Texas should rise between 1 to 4 feet within the next week because of Thursday's rainfall, according to Jerry Cotter, chief of water resources for the Army Corps of Engineers in Fort Worth. "We need about a month of this type of rainfall to really fill up the reservoirs. And, I'm not saying every single day, but, you know, once a week for a month and we would really do some filling up of the reservoirs," Cotter told NBC DFW.